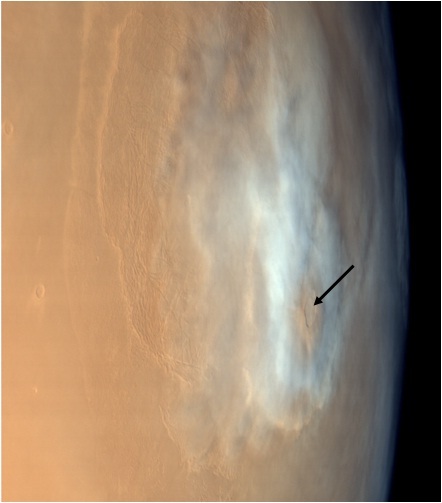 Olympus Mons is the largest volcano in the solar system which is present on planet Mars. 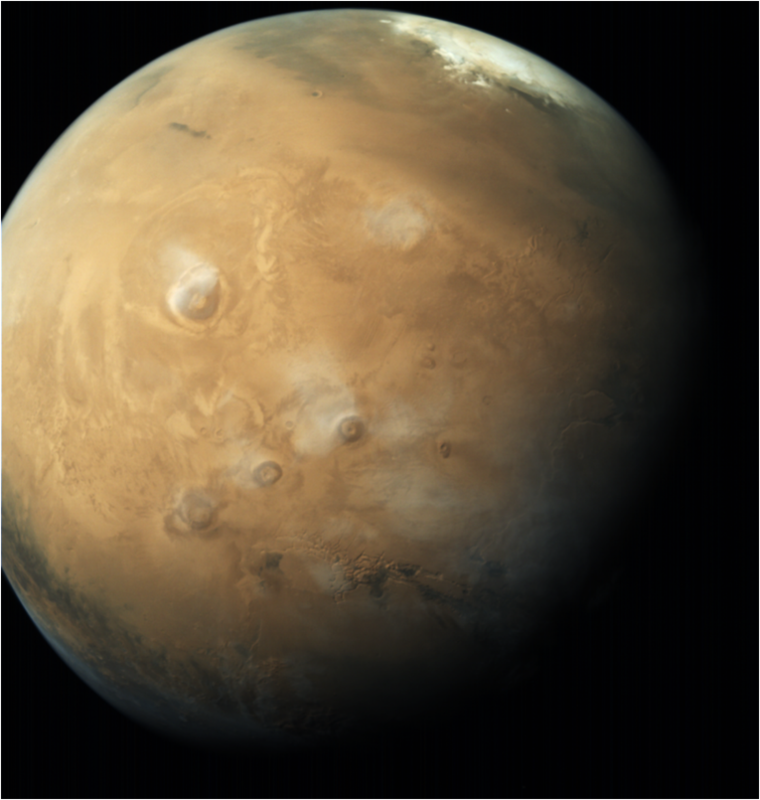 The altitude of Olympus Mons is nearly three times the altitude of the largest peak on Earth, Mt.Everest. 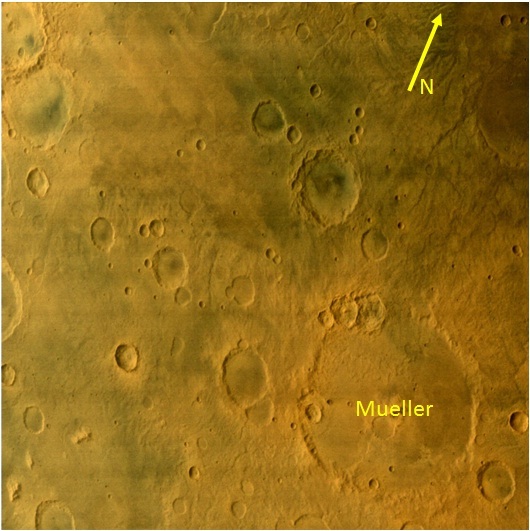 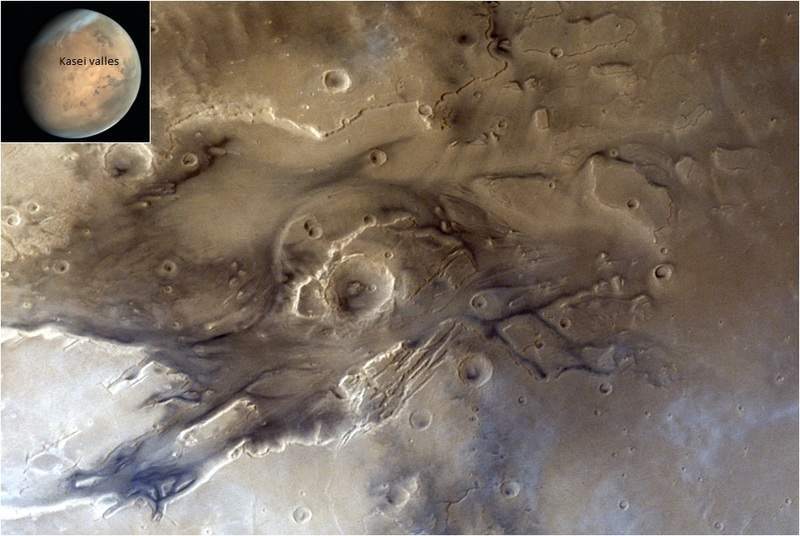 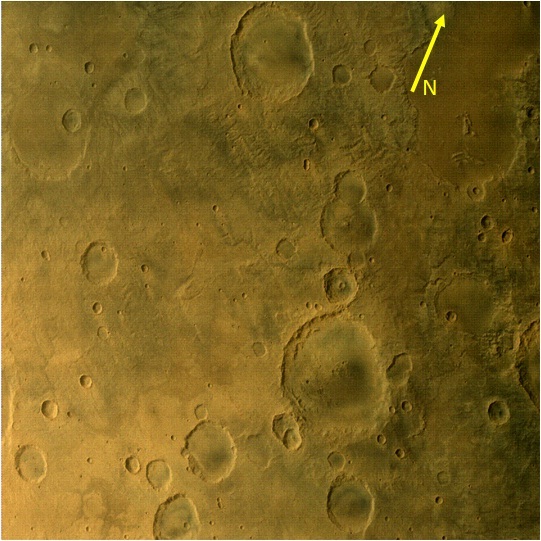 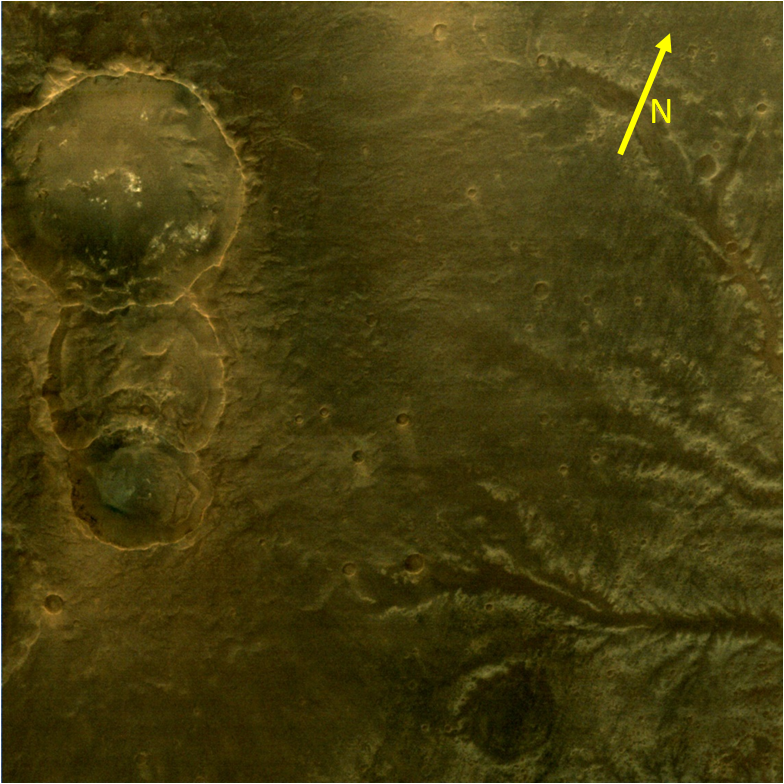 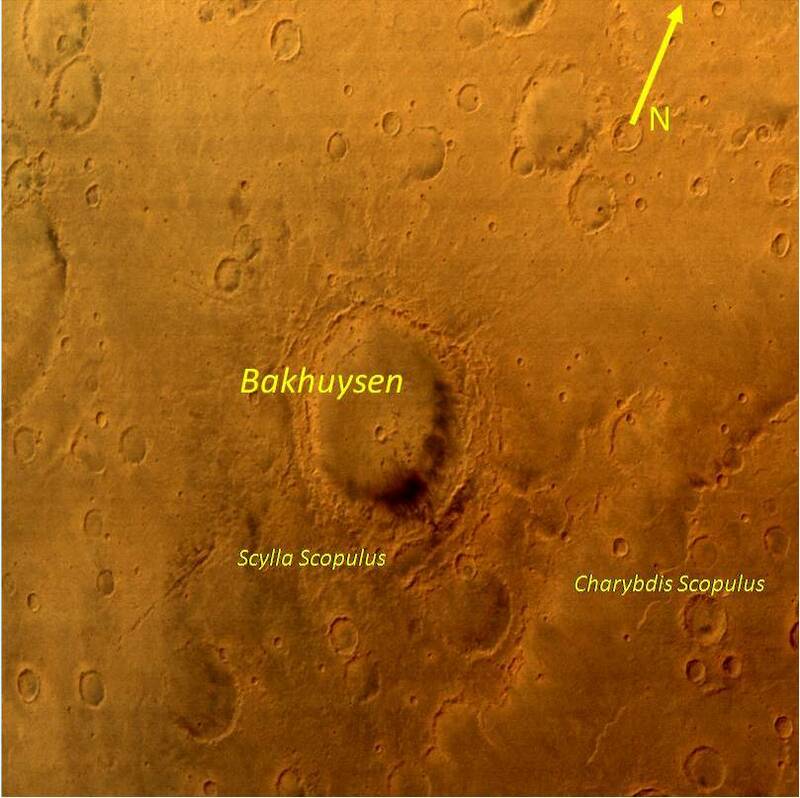 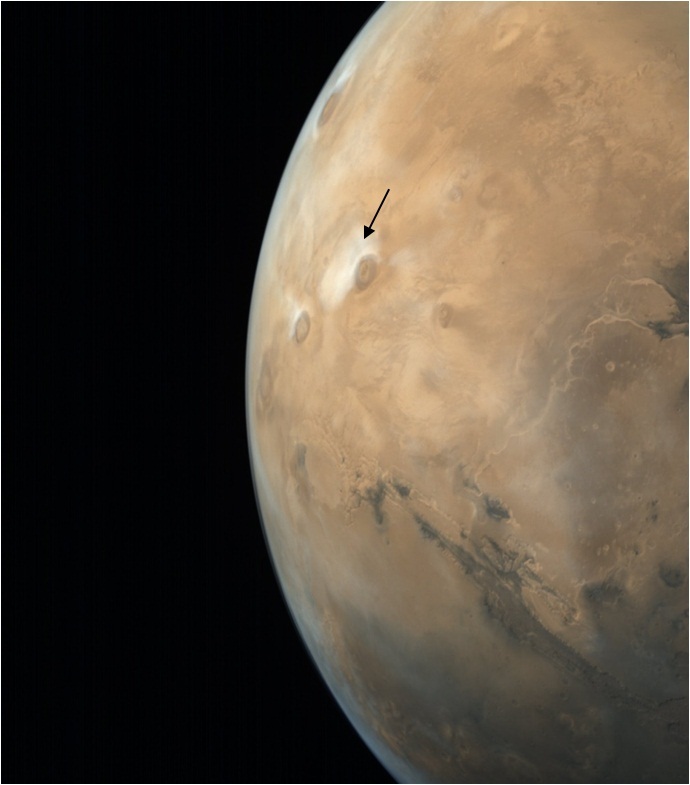 Tharsis volcanoes are Arsia Mons, Pavonis Mons and Ascraeus Mons. 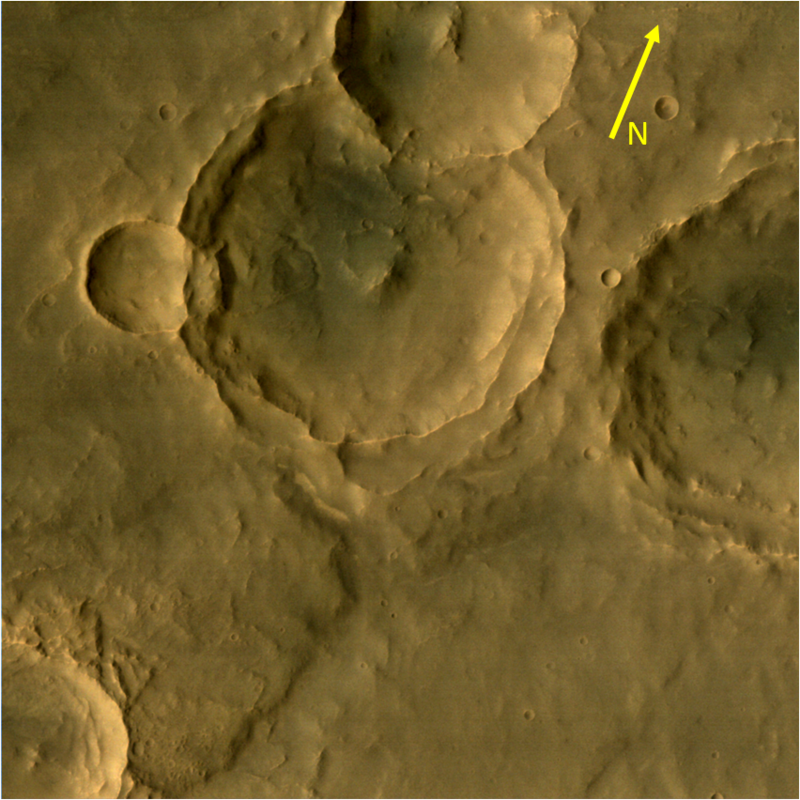 Tharsis Montes are product of volcanism and they are associated with tectonic processes which caused extensive crustal deformation in this area. 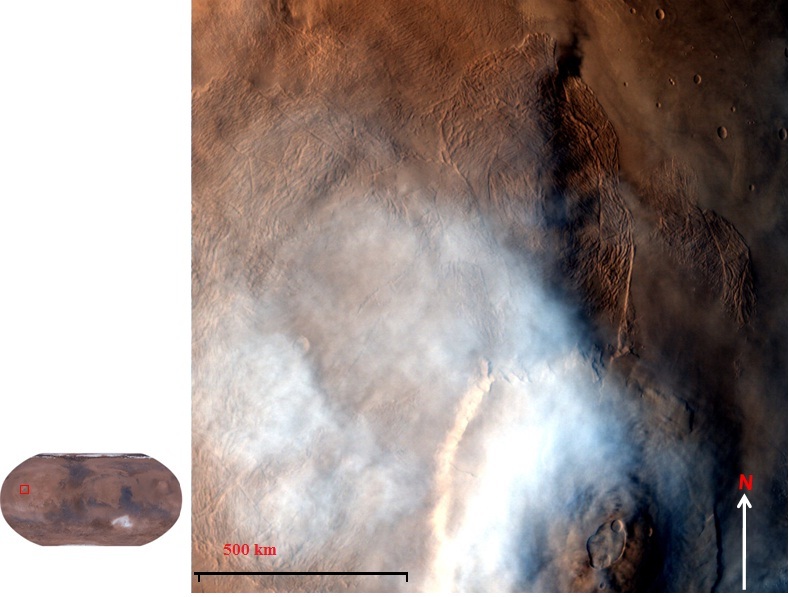 during this season in Mars.